This morning, the Official Google Blog and Chrome Blog revealed the new tab page, which lets you flip between your installed apps and your most visited web sites. To take a look at how it works, check out the video below. 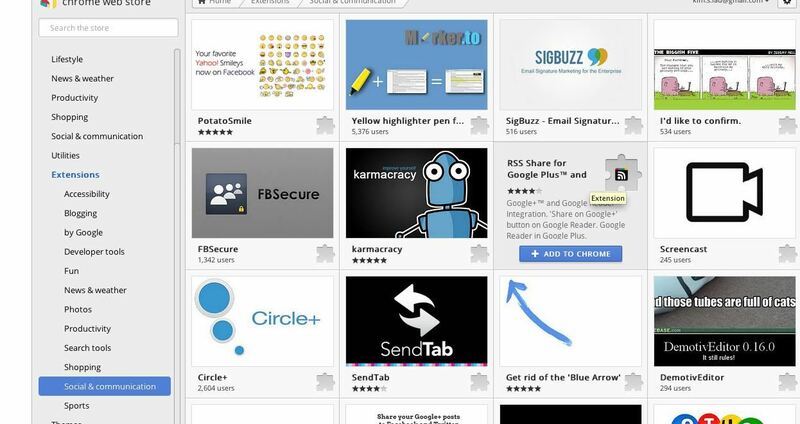 The Chrome Web Store also received a facelift. It's now a lot bigger and brighter, with infinite scrolling instead of pagination. Adding new apps and extensions is a snap; all you have to do is select your app or extension, read more about it, and then click on the +Add to Chrome button. One of the less publicized features is that now writing a review while logged into your Google Account connects the review to your Google+ profile. (1) The new Chrome Web Store home page. (2) To add an app or extension, just select it, and click on the +Add to Chrome blue button on the top right. 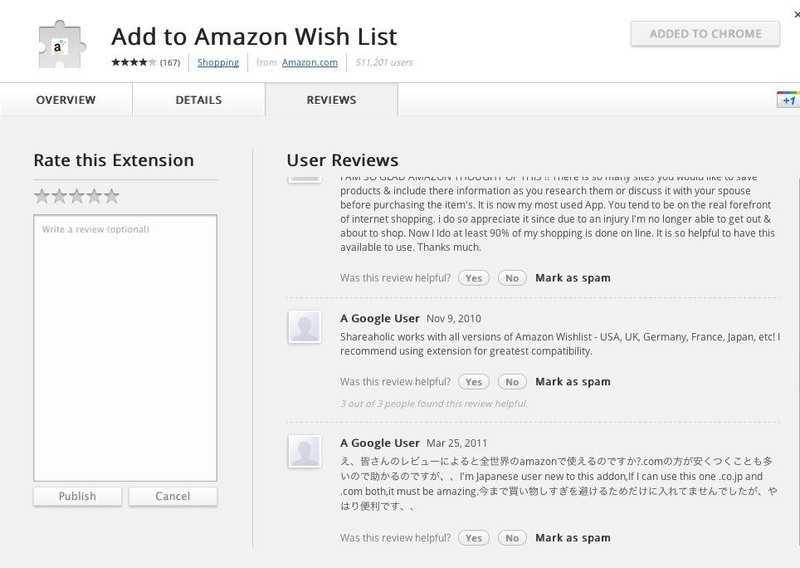 (3) You can also preview apps and extensions before adding them to your browser. 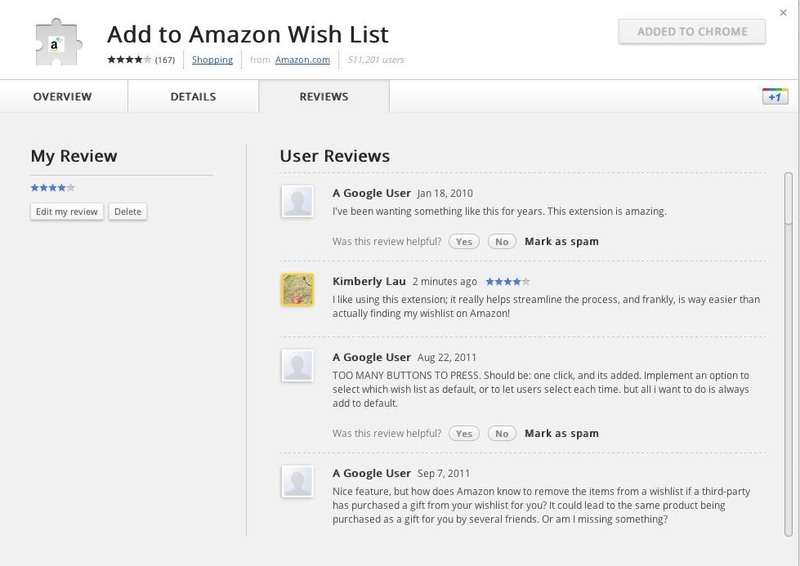 (4) You can check out other people's reviews, or add your own. (5) If you add your own review, it'll now be linked to your Google+ profile. While looking for some new Google+ extensions, I noticed that the search now on the Chrome Web Store is less than ideal. I searched for "google plus", and the first five results don't have anything to do with Google+, and the first four don't even have anything to do with Google. More for Google Plus automatically clicks on the "more" button at the bottom of your Google+ screen so you can scroll infinitely. Open Graph for Google Plus Integration loads the open graph data in your Google+ stream, so you can play any rich media content linked on the page, such as songs or albums. 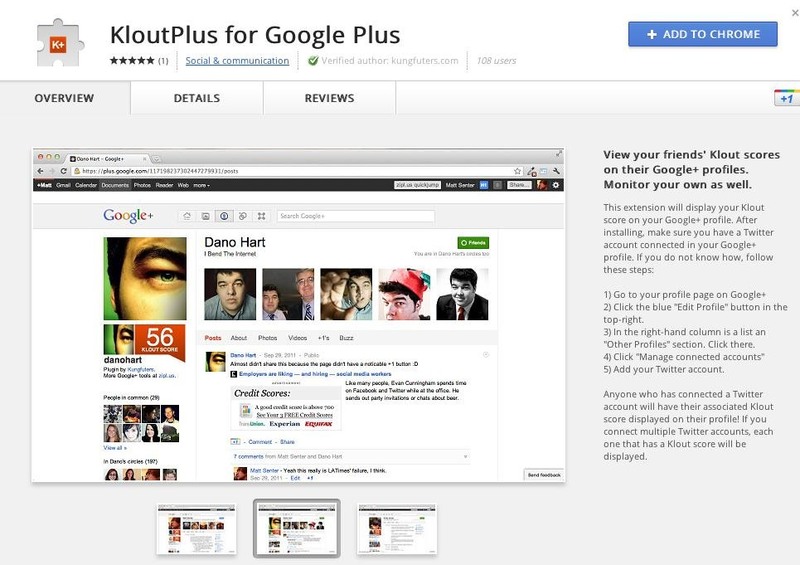 KloutPlus for Google Plus lets you check out the Klout score of the people you follow on Google+ and allows you to monitor your own score. 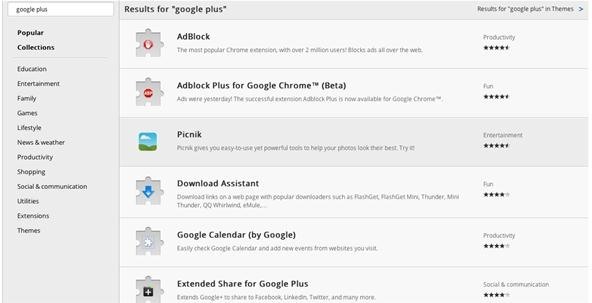 G+ Game Companion helps you manage your Google+ games addiction, and helps you select from your contacts to add them to your own gaming circles, and also lets you override the Google+ circle limitations. You can also be reminded to do some gaming actions, and sort your posts by game. Trey Ratcliff Notifier is the only extension I know of to be made specifically about a person of note on Google+. Extension machine +Mohamed Mansour created this extension so he could be notified whenever professional photographer +Trey Ratcliff posted a new photo. Hi Mahmoud, as long as you link and credit properly, I'd be happy to have you share them!